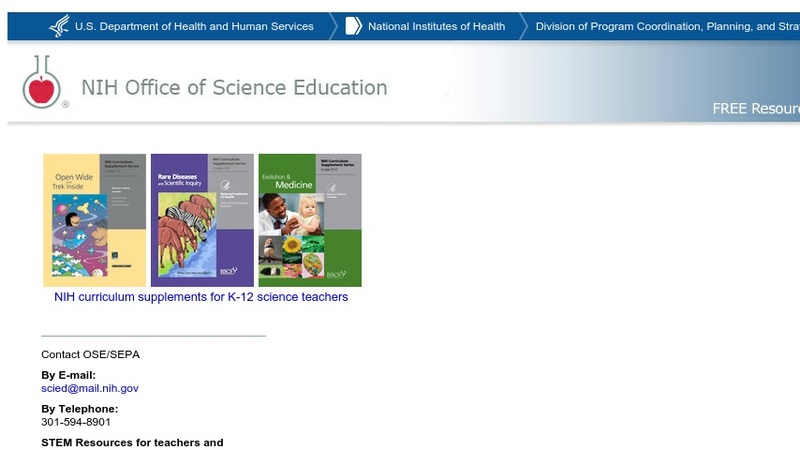 The Office of Science Education (OSE) of the National Institutes of Health provides an extensive selection of educational resources for teachers and students at the elementary, middle-school, and high-school levels. These materials cover such topics as bioethics, cell biology and cancer, environmental health and toxicology, and many others. The site offers lesson plans, activities, and other curriculum materials, multimedia items, graphics, and printed materials, and many other types of resources. The materials are organized by topic, grade level, and type. Other features of the site include career and funding information, an E-mentoring program for high school and college students, news articles, and links to featured programs.